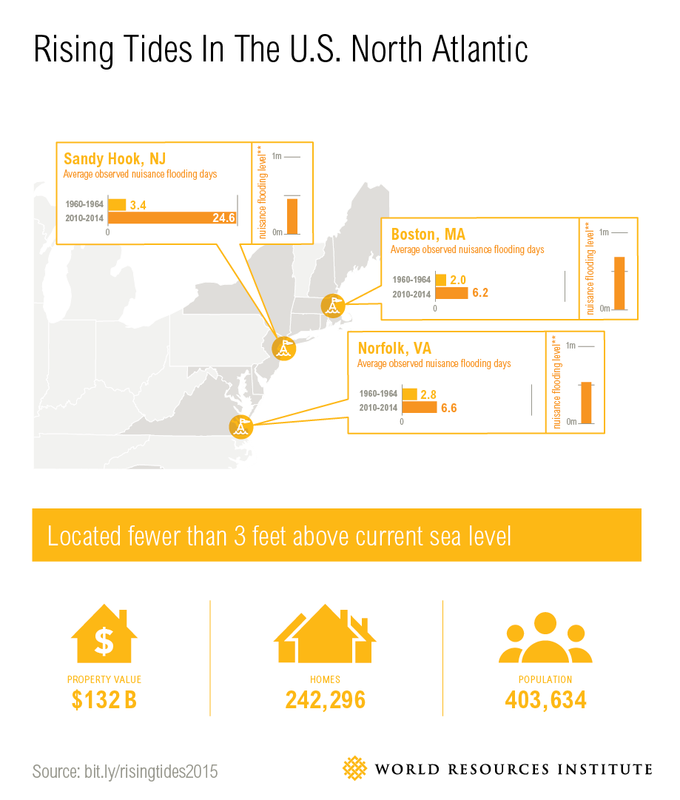 Home > Blog > How Is Sea Level Rise Affecting Your Region? 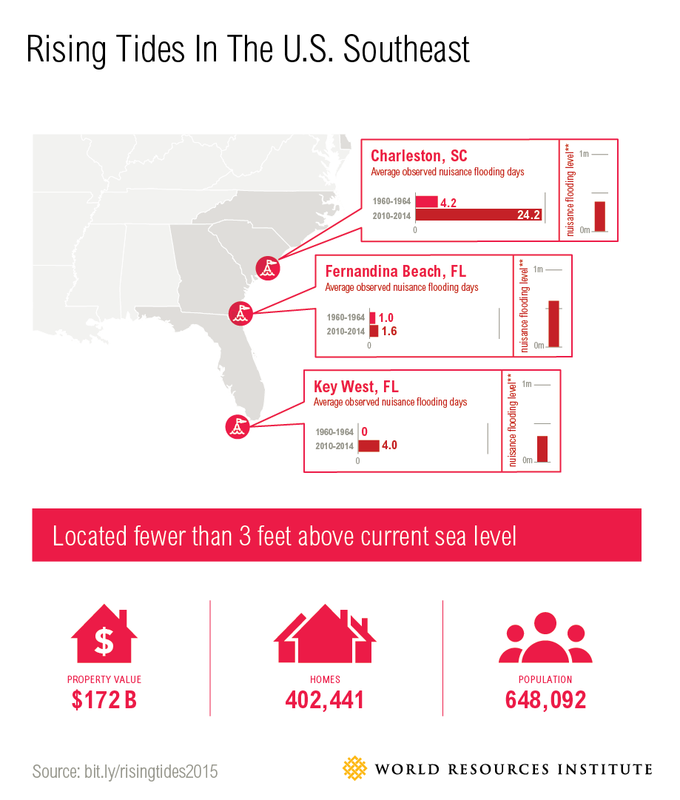 Coastal communities across the United States are already feeling the impacts of coastal flooding and sea level rise in the form of flooded businesses, overflowing sewers and crumbling infrastructure. These shoreline counties are home to more than 123 million Americans, and account for nearly half the U.S. GDP. According to a 2014 report from the National Oceanic and Atmospheric Administration (NOAA), the frequency of days with “nuisance flooding,” or flooding that causes road closures, overwhelmed storm drains and other public inconveniences, has increased dramatically in many U.S. coastal cities since the mid-1960s. The threats to these communities’ homes, roads, bridges and more are increasing as sea levels continue to rise. That’s why a bipartisan group of more than 35 elected officials representing all U.S. coasts will meet in Hampton, N.H. this weekend. 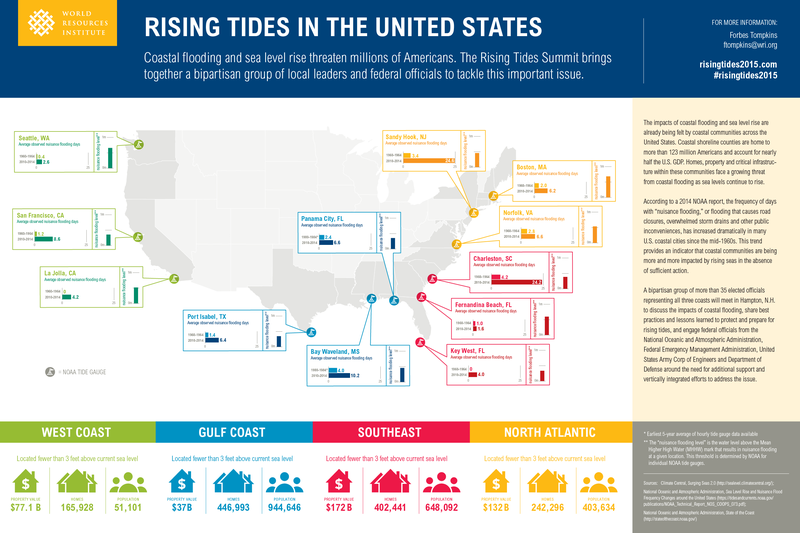 At the Rising Tides Summit, they’ll discuss the impacts of coastal flooding, share best practices and lessons learned to protect and prepare for rising tides, and engage federal officials from NOAA, Federal Emergency Management Administration, U.S. Army Corp of Engineers and Department of Defense around the need for additional support and vertically integrated efforts to address the issue. 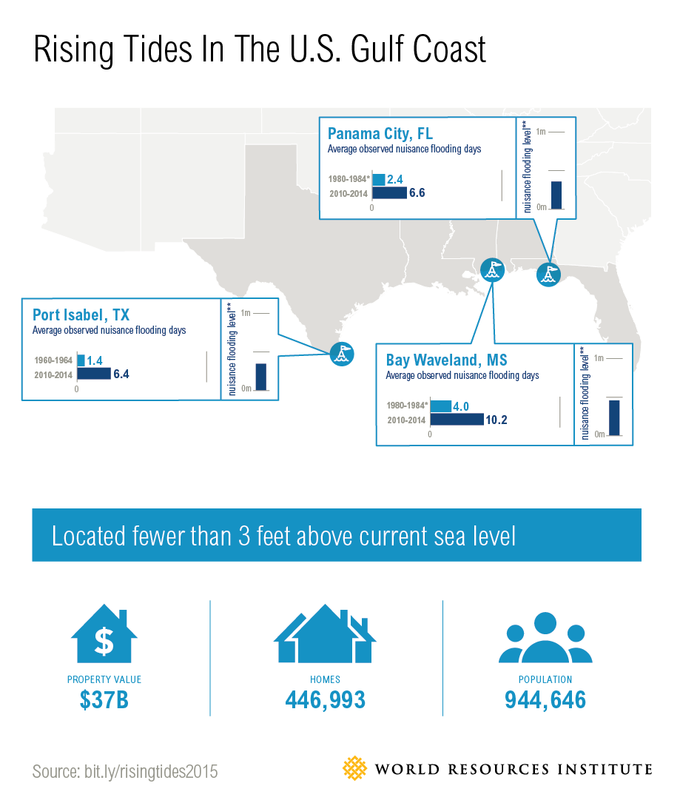 Check out the Rising Tides website for more information about the event, and review the graphics below to see how sea level rise may be affecting your region. 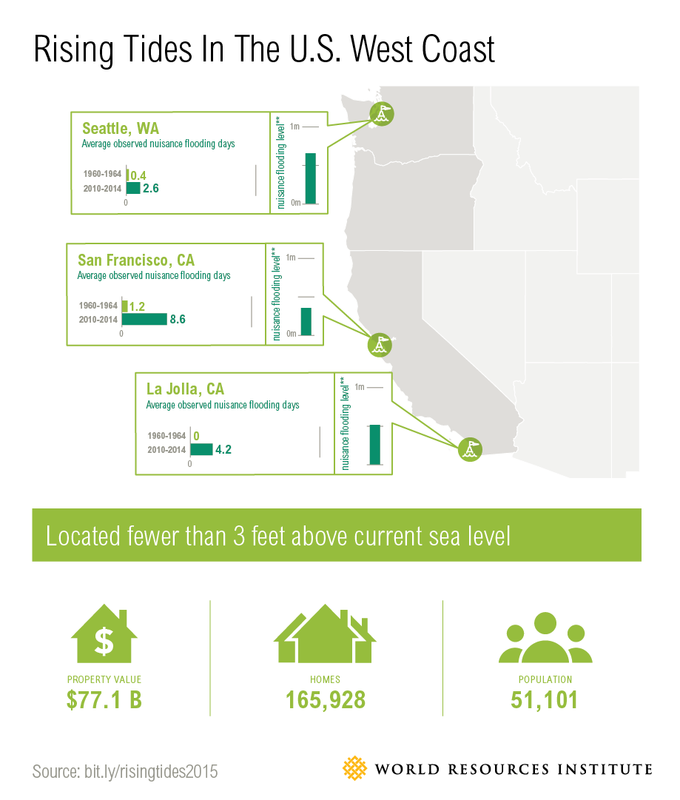 LEARN MORE: Download or embed our full infographic on sea level rise in the United States.